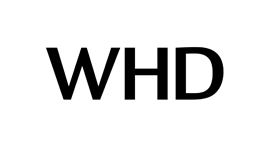 WHD: experts in speakers in audio electronics for more than 80 years When it comes to high-quality sound systems, speakers, audio electronics and digital multiroom solutions, WHD has been making a name for itself around the world since the company was founded in 1930. WHD audio electronics, speakers, sound systems and multiroom solutions are used in a huge range of applications in homes, public buildings and in industry. In addition to high-quality standard audio products and speakers, we also develop and manufacture specific audio solutions for our customers. Thanks to our highly-skilled R&D department and our in-house paint shop and production facilities, we are able to modify existing audio products or develop completely new products with maximum efficiency even for small to medium quantities.